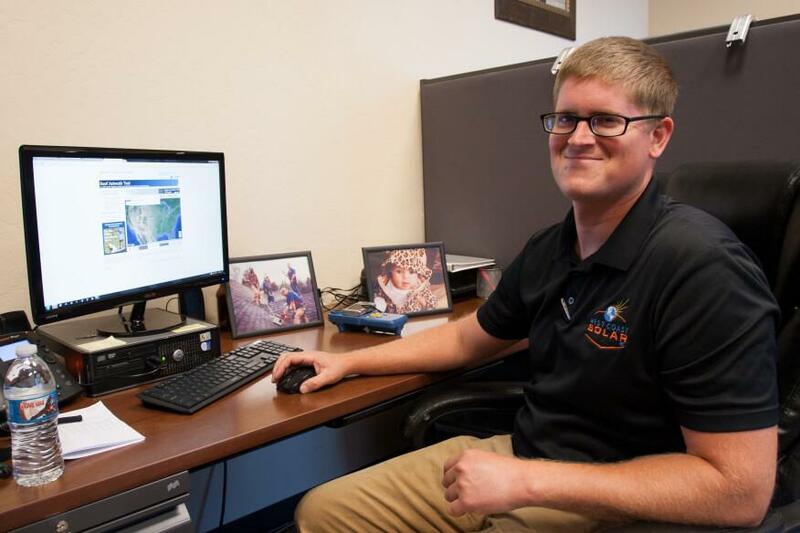 Meet Patrick, Lead Site Technician | West Coast Solar, Inc.
We are proud to have some of the best staff in Northern California working with us at West Coast Solar to make solar simple. Today we would like to introduce you to our lead site technician, Patrick Loosi. Patrick has worked with us for two years and primarily surveys houses and commercial properties. His typical work day includes visiting client sites to take photos, measurements, and sun readings before sending his findings off to our engineers. From the East Bay, Patrick attended business school and has a background in law enforcement. Prior to joining West Coast Solar, Patrick served with the United States Marine Corps. His favorite aspect of the job is the strong team environment and he appreciates the fact that we are a small company with a close family bond. Patrick is a key part of the team at West Coast Solar that provides outstanding customer service to our clients. In his free time, Patrick enjoys hunting, fishing, and developing his construction and engineering skills with hands-on building projects.